Choose your state of mind with these four inspiring brainwave music soundscapes. 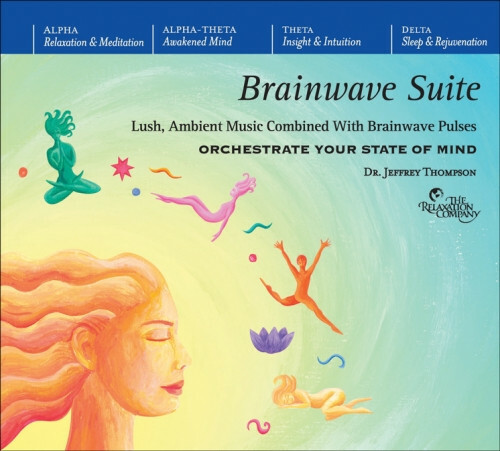 Sound-healing pioneer Dr. Jeffrey Thompson has developed unique techniques for embedding brainwave audio processes into lush, multilayered, ambient musical soundtracks. After a few minutes of listening, your own brainwaves naturally “lock” onto these audio pulses, to lead you easily to the state of mind you want to experience. Dr. Jeffrey Thompson’s breakthrough audio programs are used by Fortune 500 companies, healthcare professionals, and more than a million individuals worldwide.